Tweaked default behaviour of file name variants of TCustomExifData.SaveToJPEG and TIPTCData.SaveToJPEG to write to a memory stream first. This protects against the case of when the file exists, but is not a valid JPEG file (before, the file would just get wiped on the exception being raised). Added EnsureEnumsInRange property to TCustomExifData. When True (the default), enumeration tag property values will definitely be in the declared range — if the stored value is otherwise, it will be reported as missing unless you get at the raw data directly. Slightly modified TXMPPacket.TryLoadFromStream to support ExifTool’s not-quite-XMP XML dump format. As before, it can be downloaded from CodeCentral here. Hi. First of all, thanks for an excellent component. I’ve noticed using the JPegDump demo that most of my images include an “aux:” section which contains the model of lens used. Could you tell me how to access this? Is there a way to “search” for a section and extract the data from it? Many thanks and sorry if I’m being a bit blind to the obvious. On the basis of a picture of Caernarfon Castle on your website, I can say it’s part of the XMP packet, rather than the actual Exif segment (if you scroll up a bit in the Jpeg Dump output memo, you should see the ‘— XMP —‘ headline). That said, I doubt your camera is writing this — instead, Photoshop is when you resave the JPEG. That in mind, it would be better to get the original data rather than the XMP copy, though I’m not sure where Photoshop is getting it from. It’s possible (probable?) it comes from the Exif maker note, but from the photos on your website at least, it appears Photoshop is removing any maker notes. Many thanks for your quick response and for taking the trouble to delve into this. I think the original data is put in the EXIF data wherever the camera manufacturer fancies putting it (I used a PHP unit to look at Canon and Nikon raws and they don’t match up in this regard) so it’s easier let Photoshop or Lightroom figure it out. Thanks again for an excellent bit of coding and for solving my problem. Second, I have a small question: I am trying to use your “StripJPEGMetadata” example project to remove all the EXIF data from am image. The code passes well, and I get a message telling me the Exif data was remove, but when I look at the file, I see that all the data is still there. Do you have an idea why it happens? I can send you the image I am trying to remove the EXIF. Comment moved to here and replied by email. In short: by all means give me a sample image. In fact, that’s the best way by far. Hello! I want to ask for more maker notes classes and data in INI. Will be available? I’m not going to at this moment in time, but if anyone (like your good self for example) wants to volunteer, feel free… The INI file is just an INI file, and the maker note type detection, while done in code, is extensible — you create a subclass of TExifMakerNote and register it by calling TExifData.RegisterMakerNoteType. I think the problem is that the bag items do not have a Description property, and thus are not recognized as structures. I’m guessing this is a bug in the MS product, but can you add some workaround in the component? The xml may have been removed in the comment, tell me if you need any more info or to send it by email. Posting XMP will work if you wrap it in appropriate ‘sourcecode’ tags (see http://en.support.wordpress.com/code/posting-source-code/). That said, on the substantive point, in the version of the library I’m working on now, I’ve rewritten the XMP loading code somewhat, which may have fixed the problem you’re having (‘may’ being the operative word though). Check out your inbox, assuming the email address you entered when posting your comments is real. Thanks, as i said in the email, the new version works. but Delphi said it is read-only. Note the slightly revised Google Code version (which is very slightly revised in the case of CCR.Exif.pas specifically) adds an extra overload or two here — in the Code Central version, you’ll need to call the overloads that take all TExifFraction values to set with more precision [Assign(TExifFraction.Create(Multiplier, Divisor), …]. 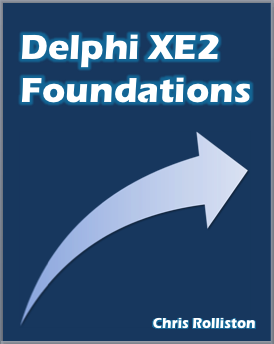 Exif uses fractions in the form of a pair of unsigned 32 bit ints (LongWords in Delphi) rather than decimals, which is sensible really since it preserves accuracy. If you want to convert a decimal to a fraction, well that’s a general programming problem with a standard solution, insofar as a solution can be found (just Google or Bing it). The value is passed to a new constructor for TExifFraction that does the actual conversion from the decimal to the fraction. However, there is also another (and separate) issue: GPS coordinate values can be expressed in two different ways. If all you have is a single decimal value (rather than separate values for the degrees, minutes and seconds), then you’ll need to convert it to the other form first (see http://www.fcc.gov/mb/audio/bickel/DDDMMSS-decimal.html). Is there a support of removing EXIF data from TIFF files? something like: “RemoveMetadataFromJPEG” and “RemoveJPEGSegments” but for TIIF files. Have you looked at imageEn on http://www.hicomponents.com? – Recently seems to have become open source and provides some low level routines for TIFF files and their tags. I haven’t, no, but then my revised (private) code is mostly working now. ‘Mostly’ is the operative word though, which isn’t really enough for public assumption. Have you used ImageEn much yourself? I’ve only used it for a simple image resize program, which worked fine, but the library seems fairly extensive. OK, thanks. I may well have a look at it at some point myself, though this won’t be soon. That said, try the Google Code version of CCR.Exif.pas – it should fix your problem WRT reading at least (http://code.google.com/p/ccr-exif/source/browse/trunk/CCR.Exif.pas). is this is the fix ? because Stream.Seek(-4, soCurrent) look like you get back the pos to his orignal position ! More to the point, before rushing to rubbish the change, have you actually tried it? Correct, once you understand this is a workaround for badly written JPEG files. Seriously though, there’s no need to paste huge chunks of code that I myself have written.